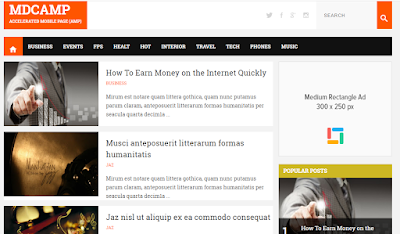 5 Best Free AMP Blogger Templates: Hello Everybody Today we are going to share with you 5 Best Free AMP Blogger Templates yes, hear the name of AMP Blogger Templates for your blog. 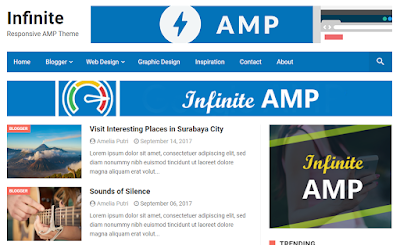 If your blog is also on Blogspot, today we are going to share with us the 5 Best Free AMP Blogger Templates which are Fast Loading, Best Seo Friendly, Responsive, AdSense Ad Ready, Mobile Friendly Template, and Speedup Your Blog Will convert. A few days ago Google had made this alliance, which would be ranked according to the blog loading speed, according to that there is no way Blogspot can increase the loading speed of the blog. When the blog is fast open, then you will increase the traffic because the search engine is also the fast loading blog, as well as the visitor also likes the fast blog more because nowadays nobody has the time to wait even if there is no time If your blog is a slow open then the visit that leaves you and goes to another blog, which causes a lot of traffic loss. 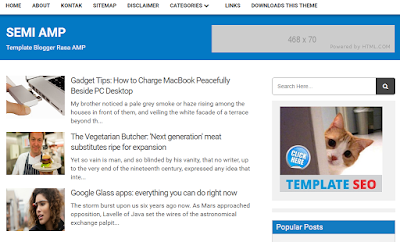 Now let us tell you 5 Best Free AMP Blogger Templates Which is all this Premium and Free AMP Blogger Template, if you like, you can buy it first, you can download it for free and upload it to your blog once. You can check if you like, you can buy it or else you can use it for free too. Blanterdeamp Template is created by IDBlanter, fully responsive template, mobile-friendly fast loading simple design template, search box widget, popular posts social share button, Disqus comment box etc. Its most remarkable thing is that it is very fast loading. Infinity is great AMP Blogger Templates, SEO Optimized is one of the APM Blogger Templates, Responsive, Mobile Friendly, SEO Friendly, Dynamic Heading, Social Share Button, Menu Navigation, Related Posts, Subscription Widget, Search Box, High CTR, 2 Column, Disqus Comments, Footer Menu, very clear design etc. But this template does not have an auction site for adding people to your blog, the rest is a great template. Noname is a very nice AMP Blogger Templates, Fast Loading, Fully Responsive Design, Mobile Friendly, AMP Ready All Pages, Adsense Ads Ready, SEO Ready, HomeCustom Post with Grid and List, Related Posts, Dynamic Heading, Custom Error 404 Include pictures such as Page, Fast Loading, Fully Responsive Design, Mobile Friendly, Adsense Ads Ready, SEO Ready, Social Share Button, Disqus Comments, Related Posts, Check it once by putting it on your blog. 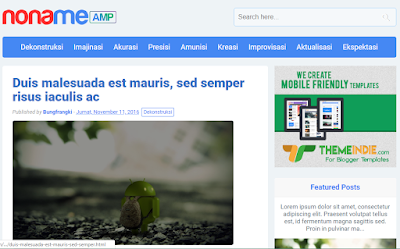 MDCamp AMP Blogger Templates is a great template. 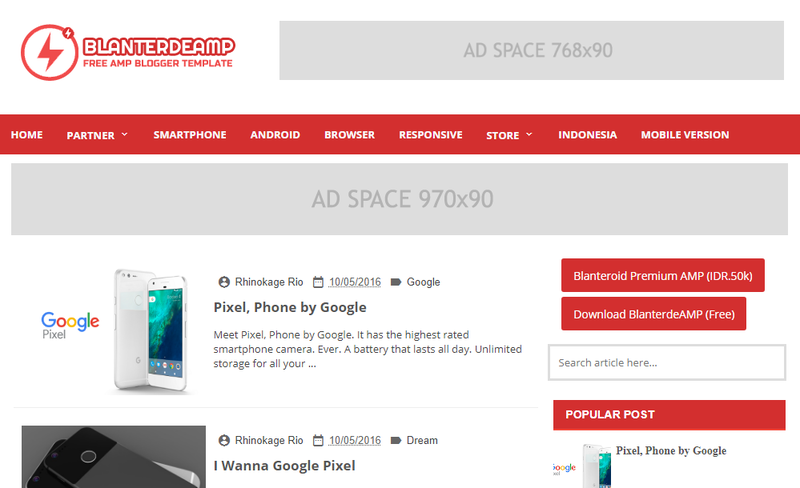 In this you also get lots of features, Fast Loading, Valid AMP HTML, Responsive, Super Seo Friendly, Adsense Ads Ready, SEO Ready, Social Media Share Buttons, Disqus Comment box etc. This is also a great template, you will surely like this. Semi AMP Blogger Templates Fast loading is a mobile-friendly RESPONSIVE and simple design template, it loads at very fast speed, you can fast on your blog by placing it on your blog. In this post, I told you about Free or Premium AMP Blogger Templates. Most of these templates are not free, but I have given you a link to download it for free, from where you can download it for free, 5 Best Free AMP Blogger Templates, Best Free AMP Blogger Templates To Speed Up If you have any questions about the post, you can tell us by comment.